Today when scrolling through Instagram, a quote appeared in my feed: “Work Smart, Not Hard”. That’s the dream, right? Working less and achieving more in your creative business. But how? Last week I wrote about Evergreen Content in this post and it got me thinking a lot about really making your existing content working for you. I’m going to take a stab in the dark and guess that your situation goes something like this: you write multiple blog posts per week, each one taking you hours upon hours to write, edit, proof read, source photos for, create graphics, pin to Pinterest, post in your Facebook groups, and then….. it’s onto the next one. But, let’s stop for a second. You’re writing informative, useful, relevant content, so why not squeeze every last opportunity to promote your blog and biz out of every single post you create? 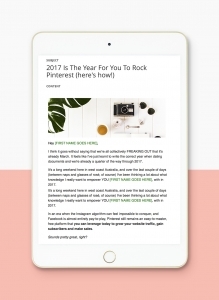 After you publish your blog post, you’re probably already in the routine of promoting it across Pinterest, Twitter, Facebook and Instagram. These are all still very relevant platforms to promote your content on, but what if I told you that it’s possible to take one blog post and turn it into 10 unique pieces of content your audience will love? By maximising the potential of each blog post, you can spend less time writing and coming up with new post ideas, and more time leveraging your existing work (aka “work smart, not hard“, duh). By creating multiple pieces of content on the one topic you’re positioning yourself as a straight-up expert in your field. Once you get in the habit of doing this, it’ll come naturally to you. Trust me: it’ll completely shift the way you think about blog post creation. When planning your content you’ll think more laterally (beyond just the post) about how each component will make it’s own stand-alone piece of content. Here’s the trick though: you need a long, informative post to work with– at least 1500 words is a great starting point. 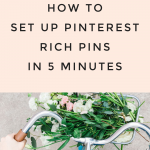 To prove how easy it is to create 10 (or more) pieces of content from just one blog post I’m going to put my money where my mouth is a do exactly that using my post “How I made One of My Pinterest Posts Go Viral“. 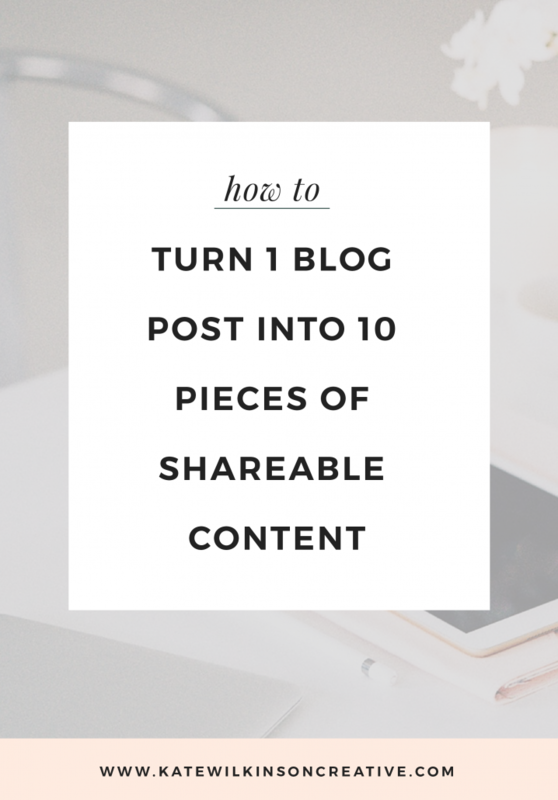 When creating your own 10 pieces of content feel free to shuffle these quantities around. 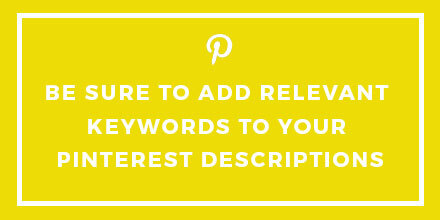 Want to focus on Pinterest? 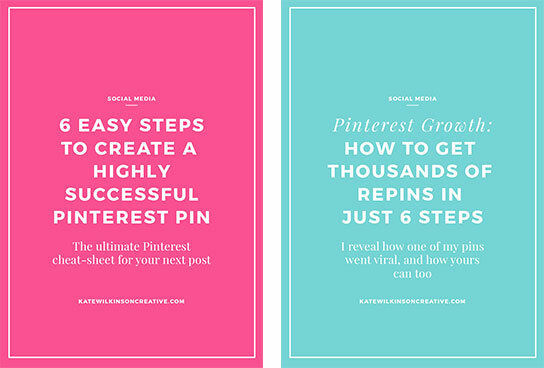 Then create more pins. Love going live on Facebook? You go girl! Go forth and put yourself out there! Each of these posts will be accompanied by a long, informative caption (also extracted straight from the blog post) explaining in detail how to implement these steps, plus a call-to-action to discover more great tips on my blog. Easy, right? 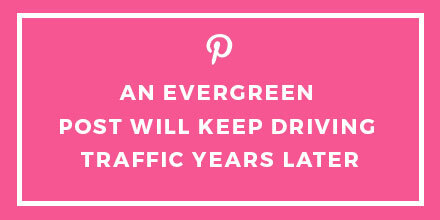 In the early days of starting my lifestyle blog Tell Me Tuesday I was trying to be active on Pinterest as a means of growing my traffic. Problem was, I only had a small number of blog posts, meaning I was pinning the same handful of images over and over again. Not wanting my lack of content to get in the way of driving traffic to my site, I devised a plan: for each blog article I created 3 different Pinterest graphics, each with different colors and images, plus a re-worked version of the title. 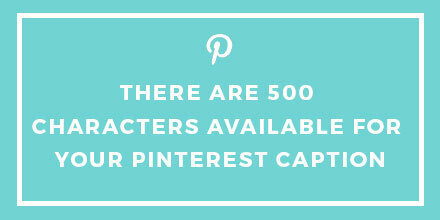 I would then upload these graphics to Pinterest, then re-pin these every couple of weeks to all of my relevant boards. Now, let’s apply this principal to my own blog posts. 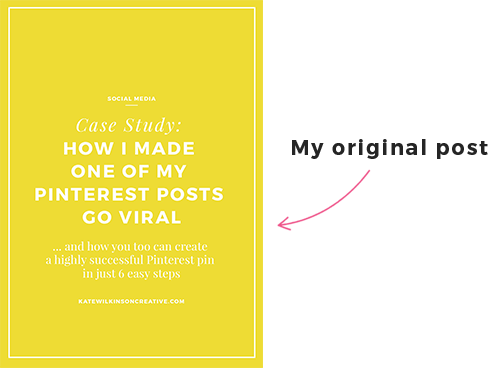 As you know, the original post is titled “How I made One of My Pinterest Posts Go Viral” (check out the graphic below). … and all linking to the same blog post. Now, let’s move onto the 2 twitter tips. Just like my Instagram posts, all of these tips were taken straight from the blog post. That quote “Work Smart, Not Hard” is looking a whole lot more achievable, am I right? Tip: The best size for twitter graphics is 1024 x 512 pixels. Now it’s time to look at Soundcloud. For those who aren’t familiar with this platform, think of it like Youtube, but for audio recordings instead of video. Now, I know you might be nervous about recording your own voice, but I promise you it isn’t so scary. And yes, we all cringe a little when we hear a recording of our own voices. There are a few options when creating a Soundcloud recording based on your blog post– you could record an abridged version with just a handful of key points, or (like me) just record a reading of your whole post. If you don’t have a professional recording setup, don’t worry. For this post I just used my iPhone earphones and Quick Time Player to make the recording. The success of your brand greatly relies on your audience’s ability to connect with you. The real you. Your true authentic self. Petrified? I hear ya’! 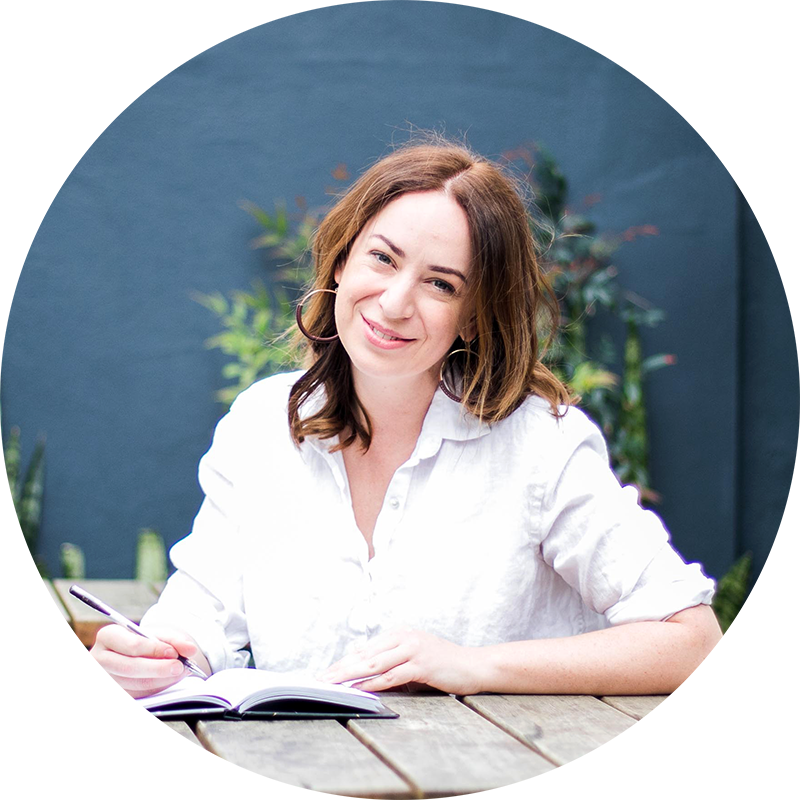 But practise really does make perfect, and recording your content live (yes, flaws and all) is a great way of repurposing your blog content across a different medium. In my case, I chose to do an Instagram Stories series, using the live feature to share the easy, actionable tips for my followers to implement straight away. Whatever your video platform of choice, do some trial runs, make sure you feel comfortable talking on the fly about your topic, and remember, no one is perfect. You can do it! A short excerpt from the post, along with a link to read the full post on the blog. Now how easy was that? All of the hard work was done for me, meaning that writing the intro blurb and scheduling the email took all of 15 minutes (for real). So, fellow creative entrepreneur, I can’t wait to see how you’ve used this method to “work smart, not hard” when it comes to generating content for your biz. Have any questions? Want to share how you implemented these tips? Share your story with our community in the comments below!